Aeroflot has announced that due to the ongoing downturn in the Russian economy combined with an exceptionally weak winter season with outbound tourism declining rapidly to SE Asia, Dubai, South Africa and the Indian Ocean islands, it will be radically reducing its fleet over the course of the year as it does not see any real sign of improvement on the horizon. It has decided to phase out 40 plus aircraft from its fleet of 161 which include all 13 B773ERs + 1 A320 + 8 A333s and 21 A321s. In addition, the airline reconfirmed officially that it has cancelled its order with Boeing for 22 Boeing 787-800s as it does not fit in line with the carrier’s new long term plans any more. However the order for 22 A359s is yet to be cancelled and is expected to remain on course but with deferred delivery dates. SU’s long haul fleet once the above aircraft are phased out would exclusively revolve around the A330 family comprising of 5 A332s + 9 A333s only. If sanctions on Iran get lifted soon, they should seriously consider obtaining these 8 A333s + 21 A321s in particular from SU or the leasing company dealing with SU as it would provide an easy quick fix to IR’s aging wide body fleet problem. The A333 can easily fly nonstop from Tehran to London and Tokyo nonstop without any payload issues. I. Delta who loves to buy used modern aircraft if obtained at a bargain price. II. Turkish Airlines who always seems to be in need of aircraft these days! III. Saudia Airlines who is looking to expand aggressively and already has a fair number of A321/A333/B77Ws in its fleet. For them money is not an issue as we all know! V. Philippine Airlines who are on the lookout for few B77Ws to replace their A343s asap as they wish to standardize their entire USA/CAN network around the B773ER exclusively! Narrow bodied fleet to revolve exclusively around 39 A320NEO family line of aircraft, of which the A321NEOLR too shall be ordered in order to fly nonstop from LIS to USA/CAN + Central/West Africa. Out of all the orders placed at this event, the one that makes no commercial sense is that placed by Garuda of Indonesia for its wide body fleet. Ordering a bunch load of B789s and A359s to fly on basically the same regional and long haul routes results in nothing but inefficiencies built into the system along with un-required complications. The Indonesian Govt has also mandated (with certain benefits provided) to both Garuda and Lion Air to deploy larger A330s on peak domestic flights within Indonesia in order to ease major slot congestion currently being witnessed at Jakarta airport hence you will see these two airlines using their A333s in particular on multiple daily routes such as CGK-DPS and CGK-SUB in particular. 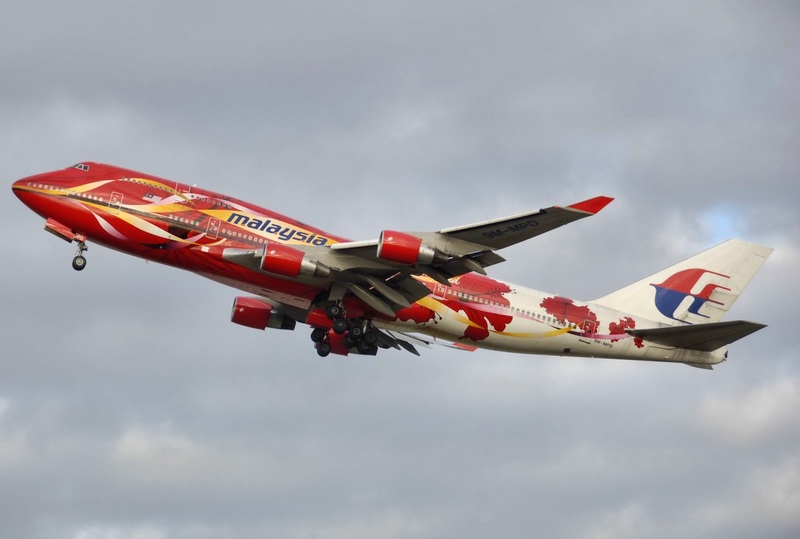 Malaysia Airlines has today officially released various details of its medium/long haul route network restructuring plan that goes into effect from August 2015 onwards. TK has also managed to officially secure additional bilateral rights into Manila effective November 2015. According to the new bilateral accord signed between the Turkish and Filipino Governments, both TK and PAL can operate on a daily basis to/from Manila with PAL allowed 5th freedom traffic rights beyond IST to Frankfurt and Tel Aviv. TK is expected to expand its IST-MNL service from the current 3 weekly nonstop to daily effective 01NOV15 using a B773ER. Kenya Airways has officially announced that as part of its on going cost cutting measures attributed to a large loss it incurred in 2014 and also to reduce its current debt of US$ 6 billion, its entire B777-200ER + B777-300ER fleet shall be grounded from September 2015 onwards. It acknowledged that it over estimated the usefulness of the Boeing 777-300ER in its fleet as the aircraft has proven to be way too big (from a capacity stand point) to be deployed on any of its long haul routes such as Amsterdam, Guangzhou, London and Mumbai. The carrier is keen to dispose of these assets as soon as possible as it’s a big financial drain on its balance sheet. Currently, KQ has 3 B77Ws (400 seats) + 4 B772ERs (322 seats) in its fleet and all 7 aircraft will be retired at the conclusion of the summer peak season. Flights flown presently with the B777s will be replaced by KQ's B787-800s which seat 234 pax in a dual class layout i.e. 30J + 204Y. KQ has at present 6 B788s operating with 3 more units held as optional purchases. The airline is very happy with the performance economics of its B787 fleet and shall be basing its long haul operations for the next three years around the B788 fleet exclusively. Emirates’s CEO has announced that the carrier is very serious on placing a follow up order with Boeing for up to 15 new Boeing 777-200LRs as the carrier wants to rapidly retire its entire fleet of aging A332s and A343s to be replaced with the above aircraft type along side the B777-300ER. Some of the B77Ls will be used to further expand EK’s long haul network in USA and Latin America as it has Miami + Atlanta + Detroit on its radar along with a second daily service into Chicago. The order for these aircraft is expected to be announced at this winters Dubai Air show along with another larger order for up to 70 A350-900s or B787-1000Xs (latter being stated as being preferred by EK). Increasing to 5 effective 17DEC and then further increasing to daily nonstop from 30MAY16. In addition to the above, LH too confirmed that due to higher losses and increasing competition from the GCC carriers, it shall be suspending its operations to CGK-Jakarta effective 25OCT. Currently, its operated 5 times per week via SIN using an A343. Qatar Airways has officially revealed major plans to expand its presence in the USA marketplace in 2016 with 3 new destinations being announced along with a frequency increase to an existing destination. The new layout seats 372 passengers in a two class configuration i.e. 24J + 348Y thus representing an overall increase of 21% in capacity but more importantly 36% increase in the economy cabin. The first routes earmarked for high density A346 are one daily DOH-KUL-DOH rotation alongside a daily DOH-ALG-DOH service. FYI, I expect JFK to become a double daily A359 operated service by Summer 2016 season in order to make it easier both for crew rotations + selling capacity. With regards to the A346 cabin reconfiguration, this is a much required move and makes the operating economics of the aircraft more attractive especially when fuel prices are low and its purpose is to be utilized on capacity constrained routes. I would suggest QR deploy this aircraft variant also on DOH-CAN + DOH-HKG on a daily basis each respectively. Fly Dubai has unveiled a major expansion of its Pakistan bound services as a result of a new bilateral accord signed between the UAE and PAK Governments recently. Air France has officially confirmed that due to ongoing cost saving measures as part of its "Perform 2020" business strategy, the French national airline shall be suspending all flights to Kuala Lumpur effective 25OCT15. Currently, AF operates the route 4 times per week nonstop using a Boeing 777-200ER. LOT of Poland has officially announced that it will be embarking on an ambitious long haul growth strategy in 2016 as restrictions placed on its expansion get lifted from the EU next year. It has confirmed that new 3 weekly nonstop service from WAW-Warsaw to NRT-Tokyo shall be launched from January 2016 using a B787-800 along with new services to Bangkok and Seoul from IATA W16 season. BKK though would be operated on a seasonal basis only i.e. only in IATA Winter season when demand from Europe to Thailand is at its peak. It has also revealed that it will be looking to add few B788s into its fleet portfolio and make Toronto, Chicago and New York JFK a daily round trip service year round. Air Canada has officially revealed the launch of two new medium haul routes as part of its Summer 2016 schedule. New 5 weekly nonstop services to Lyon, France shall be launched from Montreal using an A333 alongside new daily services into London Gatwick using a B763ER. The LGW service seems to be a direct attack on Air Transat and planned expansion of Westjet into this airport. 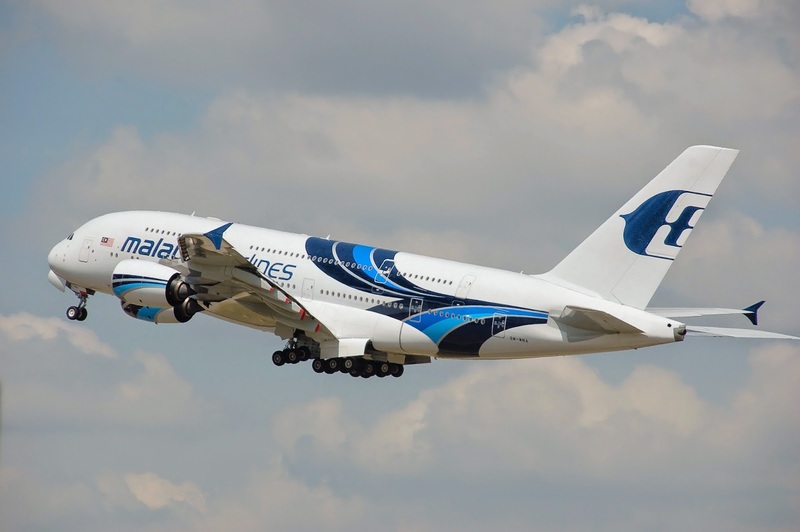 Malaysia Airlines has regretfully announced that due to its on going cost cutting measures, it shall be suspending its loss making services to BNE-Brisbane, Australia effective 09AUG15. 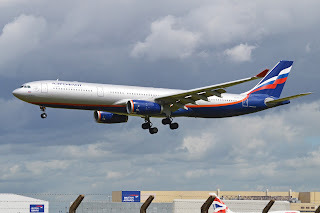 Currently, it operates the route on a daily basis nonstop using an A333. MH's departure from BNE will surely help lift the loads into BNE for EK/EY/SQ/CX especially out of the UK + student/leisure traffic originating from India/UAE.